The November MWA Dit Session was held at the Lord Arthur Lee in Fareham on Thursday 29 Nov 2018. A great night, very well attended and good to see so many serving Mine Warfare Rates who were in town for the MCM Conference being held over two days in HMS COLLINGWOOD. New faces, fresh dits!! 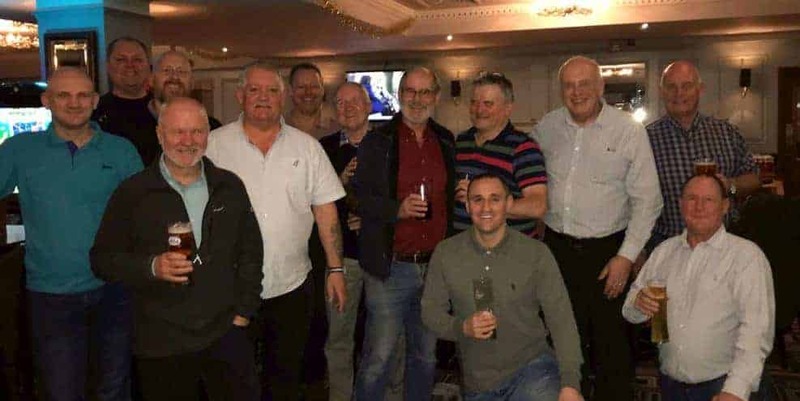 In the photograph (in no particular order); Dave Annan, Jim Bowen, Dixie Dean, Simmo Duggan, John Gunter, Bill Kerr, Steven Moss, Peter ‘Taff’ Reader, Sean Slee, George Turnbull, Stephen ‘Bunny’ Warren, Peter Whitehead and Rob Hoole. Others turned up but too late for the photograph.